Will we get to see Portland vs Seattle? By Jason Davis – WASHINGTON DC (Nov 1, 2017) US Soccer Players - With apologies to the Vancouver Whitecaps and the Houston Dynamo, there’s really no argument that the most intriguing possible matchup for the Western Conference final in this year’s Major League Soccer playoffs is of the Cascadia rivalry variety. The Seattle Sounders and Portland Timbers not only despise each other with the heat akin to the volcanoes that dot the region, they’re also the last two MLS Cup champions. A showdown between the two is full of dramatic soccer possibilities. If the Sounders and Timbers are going to make that conference final date with an MLS Cup berth on the line, they’ll have to overcome a rash of poorly timed injuries. For most MLS teams, injuries are part of the playoff season. For Seattle and Portland they’re now approaching crisis level. The bulk of the Sounders’ problems predate the postseason. 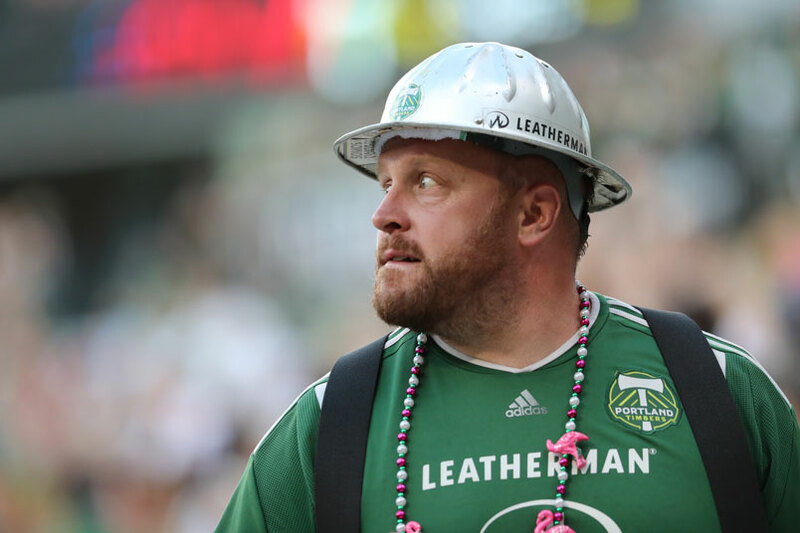 Portland got slammed with three potentially disastrous injuries in their opening playoff match to go with a lingering absence at the front of their lineup. Both teams head to the home leg of their conference semifinal series locked in goalless ties. That’s far from a bad thing. It does mean that the matchups are delicately poised with good counter-attacking teams on the other side. The injury situation for the Sounders undoubtedly informed Brian Schmetzer’s choices going into the first-leg of the series against Vancouver. Schmetzer didn’t have Jordan Morris to stretch the Whitecaps defense or Osvaldo Alonso to stabilize the midfield. Victor Rodriguez wasn’t available due to a muscle strain with Gustav Svensson limited by a hamstring problem. Clint Dempsey was also missing. That was due to a red card suspension, not injury. The collective effect caused Schmetzer, with a number of depth players on the field, to sit deep and invite pressure from Vancouver. It worked, to a point. Both Alonso and Svensson made appearances late in the match with the priority on ensuring a clean sheet rather than chase an away goal. Getting Alonso and Svensson back on the field was good. Pulling center back Chad Marshall off in with 12 minutes to go was not. Going into the home portion of the semifinal, Schmetzer can risk a little more. Alonso will start if he’s even close to 90 minutes fit, and having Svensson back creates some flexibility in central midfield and in the back line. Although the Sounders boss declared Marshall “fine” after his early removal on Sunday night, Svensson should be ready if Morris can't go. Morris isn’t back, and Rodriguez’s status is up in the air. If the Sounders are going to progress past Vancouver, they’ll likely have to overcome the injury epidemic. The Timbers won’t be shedding any tears for the Sounders. Portland has serious injury problems of their own, both pre-existing and new. Their goalless draw in Houston was an ugly affair both in terms of the lack of good attacking play and the knocks picked up by Timbers in every area of the field. Fanendo Adi hasn’t played in a Timbers match since August 6, and doesn’t show signs of an imminent return. Portland then hit the field in Houston without David Guzman because of a sprained knee and Sebastian Blanco because of a second degree burn to his foot. The strangeness of Blanco’s injury, the result of a cooking accident, proved to be foreshadowing of Monday night. Center back Larrys Mabiala was the first casualty of the actual match, coming off a few minutes before halftime due to a hip injury. Diego Chara was next, going down just as the players were exiting the field for the break and requiring a stretcher to get to the locker room. The defensive midfielder suffered what was later reported to be a broken bone in his foot, the kind of injury that means he’s likely done for the remainder of the playoffs. Darlington Nagbe left with less than an hour gone with a tight hamstring. Mabiala and Nagbe are “status pending” with no news yet available on their availability for Sunday following the Timbers’ return to Portland. Guzman is in a race for fitness. Blanco could be back should the pain from his burn subside. Considering how poor the club’s record was in 2017 without Chara in the lineup (0-3-2, with a -5 goal difference), the new reality is potentially cataclysmic. That's not just about Houston. Should they advance, the Timbers’ injury crisis might be the story in the next round. Porter’s first choice lineup includes Chara lined up next to Guzman with Nagbe and Blanco in a line of three that also includes Diego Valeri. Adi is the club’s best finisher and the clear choice up top. Mabiala started eight consecutive Timbers matches, including Monday’s first-leg. All of that means the Timbers could be without five starters as they attempt to see off the Dynamo. Houston is terrible on the road, something that certainly plays into Portland’s favor. However, the Timbers will try to take advantage with a makeshift group of depth players. Call it bad luck, or the grind of the season catching up to them. Or, in the case of the Timbers, the effects of a questionable playing surface—whatever brought on the debilitating number of injuries for the top two seeds in the Western Conference, it jeopardizes a battle so many in Seattle, Portland, and beyond are anxious to see. Timbers vs Sounders can still happen, but it’s not a foregone conclusion that it will.